I'm away for a few days so no new pages for a week or so. I've had a couple of short morning sessions since the last page. My livebaiting (half-an-hour) produced nothing. 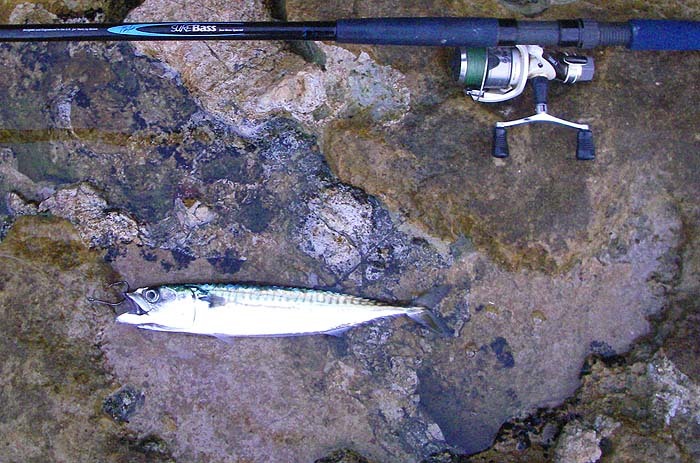 However, I had a mackerel (the bait) and a couple of pollack on the spoon. 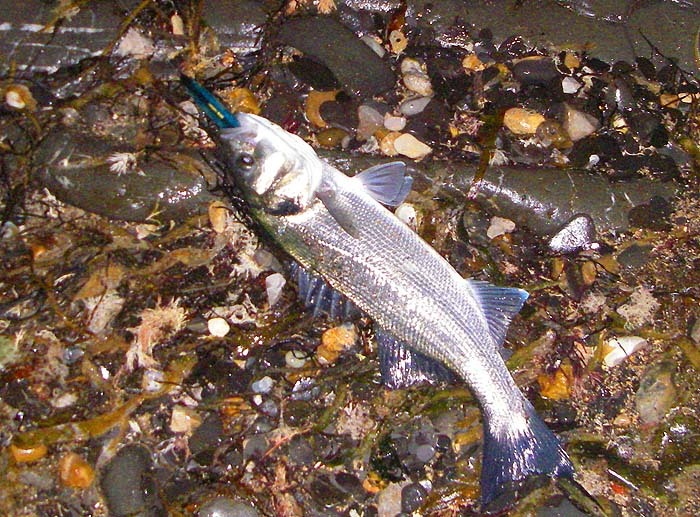 Despite roughish conditions there seemed to be no bass about. 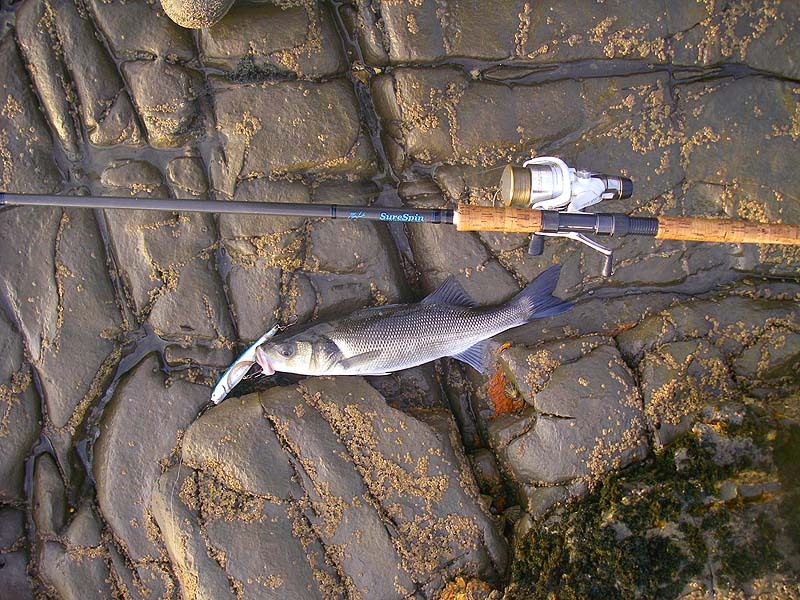 Again I used a spoon and provided you don't let it sink at all and keep reeling there is no problem about snagging up. 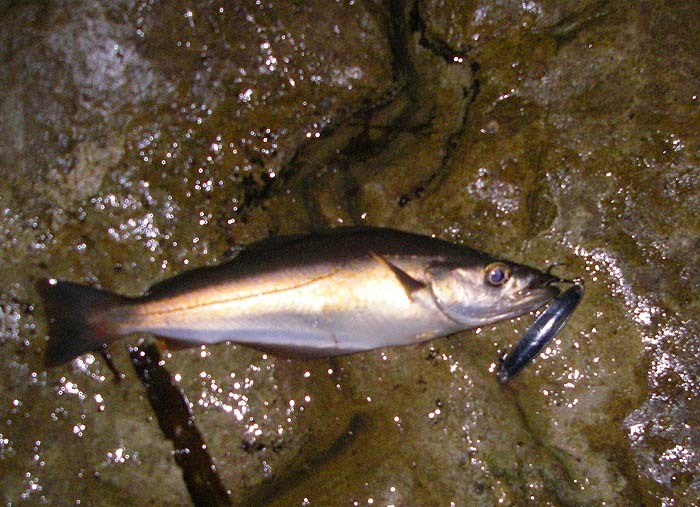 The fish have been feeding heavily on sprats and the small metal lure is more or less the same size, shape and appearance as the natural food. My next trip was with Ben and we were specifically trying to catch bass. We both managed to catch but the fish were only small. Ben's took a Maria plug which fishes very shallow, he lost a third fish at the start because his clutch was set too lightly. My fish took a TD Pencil surface popper in very shallow snaggy conditions. I was well pleased to get a bite to be honest. Anyway, that's all 'til I get back in a week's time.